Read frequently asked questions from our patients. If you have any other questions, please feel free to contact our Grande Prairie office. Tooth Whitening is a cost-effective and safe procedure to create a healthy smile. Over the years, fluoride is has been added to the whitening product. This reduces the risk of tooth and gum sensitivity. Tooth Whitening must be monitored by your dentist and only done after a comprehensive exam and hygiene cleaning. The whitening process can last for a number of years if maintained properly. Beverages such as coffee, tea, cola and wine will reduce the lasting effect. Remember, if it could stain a white shirt, it will stain your smile! Bonding is a cost-effective procedure used to fill gaps in front teeth and to change a tooth’s colour. The immediate results are amazing. Within a few hours, you will have a great smile! Bonding, like Tooth Whitening, may change colour over time due to coffee, tea, cola and wine. Porcelain Veneers are thin pieces of porcelain that go directly on your natural teeth. This entire procedure can take as few as two visits. Veneers change the size, shape and colour of a patient’s teeth. This procedure is used to repair fractured teeth, teeth darkened by age or medication, or a crooked smile. Many times, patients ask for Porcelain Veneers to simply feel and look younger with a straighter, whiter smile! Crowns are a permanent cosmetic procedure that covers the entire tooth. It will change the size, shape and colour of the teeth sometimes within 2 visits. A Dental Implant is a “man-made” replacement for a missing tooth or tooth root. Made from titanium, this screw-like object is inserted under the gum and directly into the upper or lower jaw bone. There is usually minimal discomfort involved with this procedure. After a period of a few months, the Dental Implant and the bone fuse together. This creates an anchor for the new tooth to be placed onto the dental implant. look and function like your natural tooth. 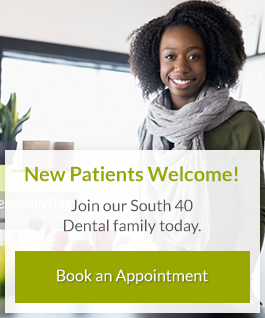 are maintained by routine hygiene visits to your dental office. The next visit is to place the Implant. A local anesthesia is applied to the area. Any additional sedation is no longer necessary unless deemed by the dentist. The dentist will then make a minor incision to place the implant. The implant is placed into the jaw bone. The area will then be covered with sutures. The procedure is usually completed with minor pain. You will next return in approximately 3 months to begin creating the porcelain crown to place over the Implant. With routine dental hygiene scheduled and proper home care. A Dental Implant can last approximately 30 years if taken care of well by the patient. Please contact us to discuss the options we have available to maintain your smile!